Exercise during pregnancy is safe, beneficial and part of a healthy lifestyle for you and your growing family. Continued exercise during pregnancy will increase your overall comfort during pregnancy, increase muscle tone and strength and prepare your body for labor and birth. Your overall energy level and feeling of well-being is improved and exercise can benefit your sleep. Women who exercise regularly will return to their pre-pregnancy weight and fitness level easier as well. Recent studies have also shown that women who stayed physically active in pregnancy may boost their unborn child’s brain development! We recommend you stay physically active for at least 30 minutes every day. Swimming, brisk walking, water aerobics and yoga are wonderful exercise options during pregnancy. When swimming, consider using a kickboard and fins and try for 15 minutes of continuous laps with a warm up and cool down period. 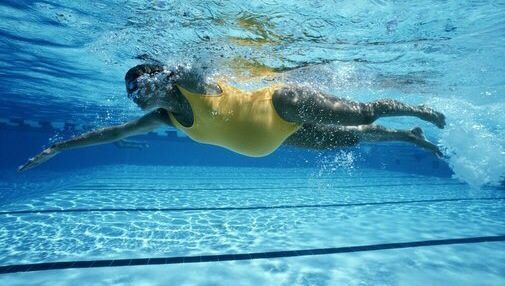 Swimming helps lower blood pressure, aids with optimal positioning of the baby, and is very relaxing and restorative to the pregnant body. Consider joining the water aerobics class at your local gym – it’s often a lot of fun to be pregnant and to exercise and socialize with the regulars in class! Considerations when walking are to try and walk every day, wear supportive shoes and stay well hydrated. Find a prenatal yoga class nearby you, at the YMCA or come to classes held at Soma Vida. Yoga is a terrific way to loosen sore muscles, work up a sweat and to connect with your baby. Other exercise that is helpful during pregnancy includes squats and pelvic tilts. Squats help strengthen your legs and opens your pelvis as well as assisting you in positions for birth. Pelvic tilts strengthen your abdominal muscles and can relieve low back tension. We look forward to talking more with you about exercise and pregnancy!